After 6 years of 'never getting round to it' this month we finally took the boys on a proper day out - a road trip which to them probably felt like we were driving to the end of the earth it was so far! 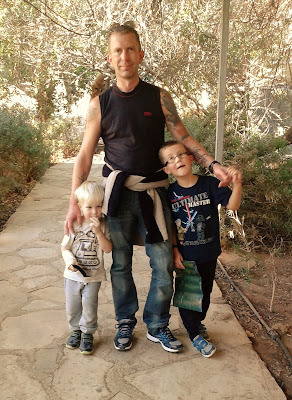 Since Cyprus is a small island the boys have never really spent much time in the car for anything other than short journeys, anything over 15 minutes has them moaning and complaining, so going to Paphos (about two and a half hours away) was not something we thought would go well! 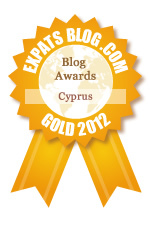 Real life Tetris - AKA packing your home to emigrate! 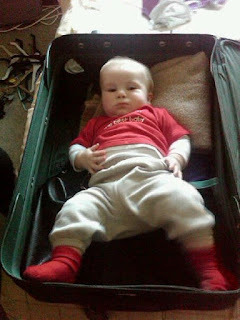 This week is the anniversary of our move to Cyprus, 6 years ago we were in the process of saying our goodbyes in a endless stream of afternoon meetups with little Leo being dragged all over Kent, family lunches and leaving drinks. We were packing and sorting and re homing many of our possessions, selling loved items or giving them away to new homes, we said goodbye to our lovely dog as she went to her new home. We played 'real life Tetris' as we called it when we constantly tried to fit things into and around other things to save on shipping space, suitcase filling or packing up the car for our trips around the country to far away friends for a final meet up. I remember filling our new fridge freezer with fragile items, wrapping the glass shelves with duvets and packing them into the Christmas tree box, and then fighting with cardboard, bubble wrap and packing tape in a small garage trying to wrap the fridge itself for shipping. As a child the most important part of the run up to Christmas was the writing of The List. It required a great deal of thought especially as I got older and realised it was not so much of a shopping list and rather a few ideas for Santa and Mum and Dad to select from. The Argos catalogue played a large part in the compiling of the list, I would spend hours pouring over the 'book of dreams' and one year my Mum gave me an old copy to cut out pictures to make a Christmas collage of things that I liked (in what I now realise was a great way of passing the time and keeping me quiet!) One year I presented my carefully constructed list to Mum - an list filling a whole A4 page, I'd basically copied out the book! I think I'd listed every annual in there along with more toys than I could have fitted into my bedroom! With amusement Mum asked me what my favourite things were, and if I could maybe narrow it down a little! Chasing shadows and Sunday afternoon fun. Last Sunday, as Aaron was busy getting his latest tattoo I decided to take the boys out for a while. 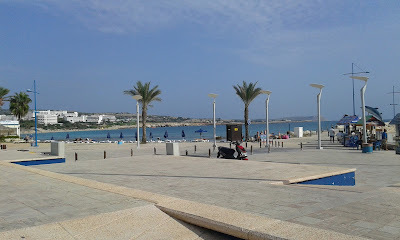 It was a lovely day as this time of year usually is, sunny and warm but without the intense heat of the summer so I decided to take us all down to the harbour in Agia Napa. It's been a long time since I took both on my own to the harbour, in fact I only did it once and that day has stayed with me ever since. I had packed up some food and thought it would be nice to take 3 year old Leo and a baby Loukas for a late afternoon walk and a picnic dinner. In fact it was a complete stressful waste of time with Louka screaming the whole time, Leo moaning and refusing to eat a thing and generally not fun for any of us. I remember watching the Party Boat sailing out of the harbour packed full with music blaring and I imagined diving into to the water and swimming after it into the sunset! 3 Days of Halloween... Part 2 - The Weekend! After celebrating Halloween a day early with our party and trick or treating at home on Friday, we spent the weekend at what is probably the best family Halloween event in Cyprus. 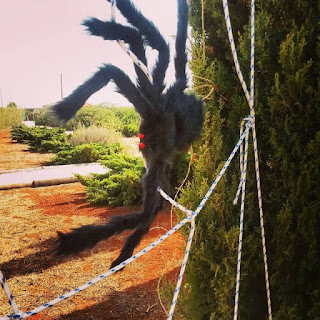 Cyherbia has been running Halloween events now for several years, each with a different theme and attracts families from all over the island for the spooky fun and games. This year, they had Dr Frankinsect in her laboratory who needed the children to help her find the magic formula hidden in the maze to shrink all the creepy crawlies back to normal size. For the older kids there was a CSI type game in the 'Freaky Forrest' where they could enjoy solving some unfortunate murders. 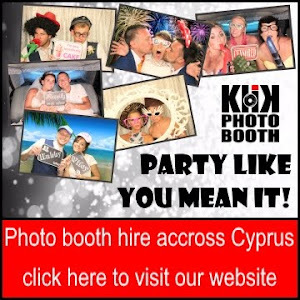 There was also apple bobbing, broomstick racing, I-Spy in the Haunted Herb Garden, a lucky dip and face-painting and the Klik Photo Cy 'Kids Kiosk' Photo booth was also there with a spooky makeover offering keepsake photos of the day. Halloween is now an official event in our family calendar, despite having never actually been to a Halloween party until 2010 its now something to be celebrated along with Christmas and Easter. I love it, a chance to decorate and dress up and eat far too many sweets - what's not to enjoy! 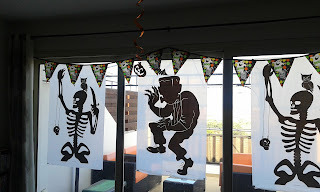 Since the afternoon that accidentally turned into a party a couple of years ago, I have enjoyed planning a treat for the boys so once again this year we invited a couple of friends over for a mini Halloween party. Held a day early on the 30th as we were going to be working over the whole weekend it meant that the fun began for the boys as soon as they finished school. Leo was very excited about it, and I was probably more excited than I should have been! As always, for me the part I actually enjoy the most is the lead up to the event, so I loved Friday morning, tidying up, decorating with Aaron and preparing some spooky food and treats.